It’s said laughter is the best medicine. If that’s true, then there’s an awful lot of people who’ve never gone to a comedy gig going cold turkey. Thankfully, the HOMECOMING KINGS – a.k.a. comedians Dylan Gott and Peter White – are heading to The Sanctuary to help get people back on their meds! 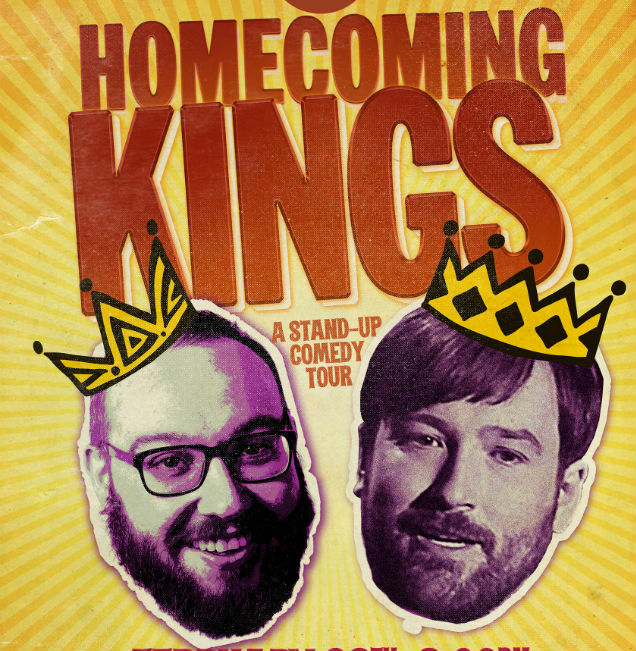 With their Homecoming Kings tour, White and Gott have combined forces to hopefully inspire both diehard fans and comedy-curious newbies out to experience a night of great Canadian stand-up comedy. Both comics have just returned from a working tour of the U.K., and their decision to team up for the Canadian tour was made for a rather simple reason: necessity. The show at The Sanctuary teams up two of Canada’s veteran stand-ups; White, a former writer for ‘This House Has 22 Minutes,” has performed in over 25 countries and racked up numerous appearances in the Halifax, Winnipeg and Just For Laugh’s comedy festivals. Gott, on the other hand, is a Canadian Comedy Award nominee who has had his own televised special and hosted a radio show on SiriusXM. The diversity of their styles means there’s going to be a lot of great content, but Gott says none of it will get too heavy. Despite the sensitivity existing in a world divided by the extremes of left and right wing politics, Gott suggests being a stand-up comic in this era can still be enjoyable if you know how to play the room. The Homecoming Kings show is a 19+ admission. For more details, visit: https://www.thesanctuaryarts.org/events.